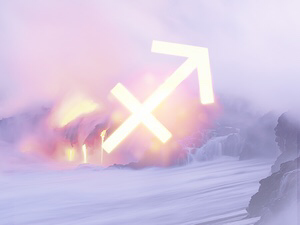 As the Sun leaves Scorpio (Death/Rebirth), and moves on into Sagittarius, the cycles of life and the transitions which transpire throughout life are very noticeable. If ever there was a time to be closing old doors, and opening new ones, this would be it. There is no real mourning taking place here, at least not long-term, for the emotional fulfillment and success which you are experiencing far outweighs it. Truly your cup runneth over and you are feeling reborn. This is a result of decisions which you have made and carried out, coupled with your firm beliefs, not only in the Universe, but in yourself. You are releasing all of those old fears, and perhaps even ready to tell the world your story. The road to happiness has not been an easy one, but through persistence and determination, you survived. For many, current circumstances may not have you thinking this particular holiday season lends itself totally to your hopes and dreams, but there is much to be celebrated now, and this will prove to be one of the best in some time. You are now in the position to create; you have trusted the Universe on this journey and things are smoothing out, as you transition toward the future you desire. Your creativity is fueled now, as you realize how wondrous and magical the Universe can truly be. By the time the Solstice has arrived, ushering in a new season and the sign of Capricorn, you will feel the brightness of the favors the Universe is bestowing upon you, helping you to remain grounded, feel secure and basking in the positivity which has come your way. You are taking charge now, and indeed you have a vision for your future. There is no backing down as you set your sights for what is to come. It will arrive before you know it, so take this time to acclimate yourself to your new routine, as you prepare for the future you have always wanted. I have prepared a special Tarot Guidance for the Sun in Sagittarius (18:34 in length), available now on Patreon as part of a $5 per month pledge which includes 15-20 other exclusive videos each month. To join, go to https://patreon.com/tarotbycecelia/ – download the app, login and enjoy! This entry was posted in General Tarot, Love and Finance, Patreon, Readings, Through the Eyes of Tarot, YouTube Videos and tagged Guidance, Path, Reading, Sagittarius, Sun, Tarot.